Behind the big business and science of asbestos management and removal lies a single reason for it all. People. And never has that been more apparent for Matt Campbell, director of SERS, which is currently working to remove the hazardous substance from some of the Territory’s most remote communities. The NT Government project has seen SERS expand its horizons from Perth all the way to the Top End. It’s one of five on a select panel overseeing the identification and safe removal of asbestos from homes and public buildings in 36 isolated communities. Speaking from Gove, Matt said he was enjoying being on the ground meeting with local residents, helping the communities and learning from them too. “It’s been really rewarding. I’ve spoken to classrooms of children about the dangers of asbestos, and met with elders to learn more about the local indigenous culture and their ethos,” he said. 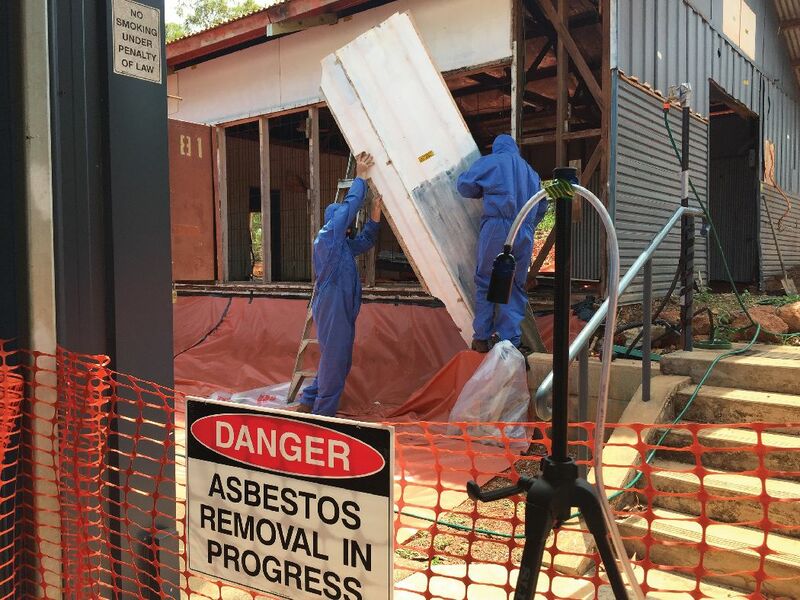 Growing demands for asbestos removal across the Northern Territory will also lead to job creation, with plans to replicate the SERS business model and philosophies in Darwin to provide employment opportunities for local people. Established in 2008, the firm has established itself as a trusted and experienced environmental consultancy with a focus on customising solutions to clients’ needs. Beyond asbestos monitoring and management, SERS provides OH&S services, HAZMAT surveys, dust, noise, water and vibration monitoring, technical demolition services, contaminated land assessment and management and other environmental management systems. Matt admits such areas can sometimes be misconceived as ‘red tape’ or barriers to development, but stresses the SERS focus is always on getting the job done. “We understand the needs of contractors and developers, and work with them to facilitate the required works in a development, rather than dictate the terms,” he said. This flexibility is a point of difference Matt identified as crucial while working for his close colleague, a demolition contractor in Perth. With both their business strengths combined, it grew to a multi-million dollar company and staff numbers increased almost tenfold from 20 to 180. But there was an obvious disconnect between the demolition work and environmental consultants’ understanding of the contracting process. Establishing SERS was the next logical step, providing professional environmental services with industry insider knowledge. That expertise has seen SERS engaged by local and international clients from the mining, construction and property sectors, as well as government projects. The firm has also developed stringent safety systems adaptable to even the largest scale projects, ensuring not only environmental security but also creating a safe work place for all staff. “We’ve been lucky enough to work on Rio Tinto sites for the past four years, with 3500 staff on site at any one time, and we’ve been able to absorb some of their systems into our own,” Matt said. Constant training and education is a high priority for Matt, who travelled to Chicago, USA to study a specialised course in asbestos analysis not offered in Australia. He also attends international conferences with world-leading regulators and researchers to ensure his company is always at the forefront of the industry. Matt says it’s been a long and winding road from his days as a floor manager of a David Jones store. “It’s certainly very different, but it’s been an interesting journey and it’s very rewarding work,” he says.